ASE can assist with all facets of structural engineering, including design and documentation. 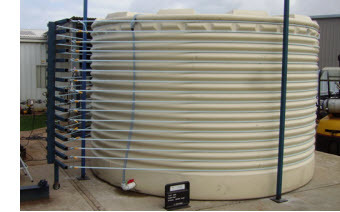 ASE performs structural engineering testing for rain water tanks, including certifying rain water tanks to AS/NZS 4766.2006 and AS/NZS 1170.0,1&2:2000. 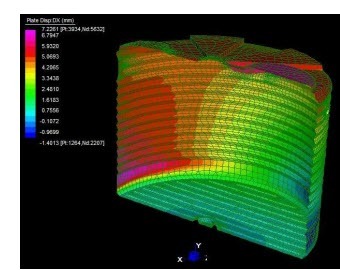 This involves not only physical testing but also Finite Element Analysis (FEA). 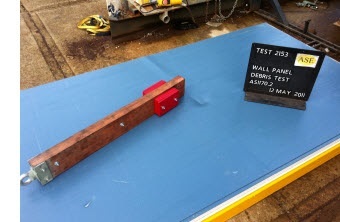 Simulated Debris Impact: Wall panel impacted by 100mm x 50mm hardwood cross-section Impact Missile with a 15.3kg mass from a distance of 5.3m. Static Wind Pressure Test: An evenly distributed load is applied to the surface of the wall equal to 6.7kN/m for Category 1 wind. Spherical Steel Balls Test: Wall panel impacted by 5 x 8mm spherical steel balls of 2g mass at 30mps (108km/h). Our testing and advice ensures portable buildings in cyclone and hurricane sensitive regions are adequately designed and constructed in accordance with all local Standards, Legislation, Regulations and Guidelines (eg. Design Guidelines for Australian Public Cyclone Shelters, and AS/NZS 11702:2002). Our test results and research are always kept in strict confidence and remain the property of the client commissioning the work. To find out how we can assist you or your business complete the structural engineering testing activities you require please contact ASE.